Our Only Time was created to motivate, inspire, educate and show appreciation for maternal health professionals through experiences told from a patient’s perspective. 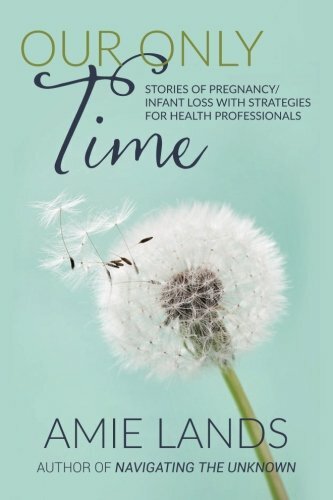 Through heartfelt stories, families who have experienced miscarriage, stillbirth, a life-limiting diagnosis, or infant loss, share the sacred time spent with their baby – whether in utero or after birth – and offer insights into how health professionals positively impacted their experience. Also included are recommendations on how best to be supportive of patients and what types of actions to avoid during this devastating experience. Through these incredibly intimate stories of loss, health professionals can better understand a grieving family’s experience and become equipped to support bereaved parents when they leave the hospital without their baby. Health professionals will come away with new insights on how to guide parents, empowering them to have the least amount of regret during this loss, and allowing for the greatest chance of healing in their grief as they re-enter the world.